4 Bedroom, 3.5 Bath Open Ranch Masterpiece! Fabulous Covered Veranda with Vaulted Cedar Ceilings, Floor to Ceiling Stone Fireplace, Sky Lights & Chef's Outdoor Kitchen! Graciously Enhanced by this Gorgeous Pool Setting surrounded by an acre of Extensive Landscaping & Flowering Gardens. 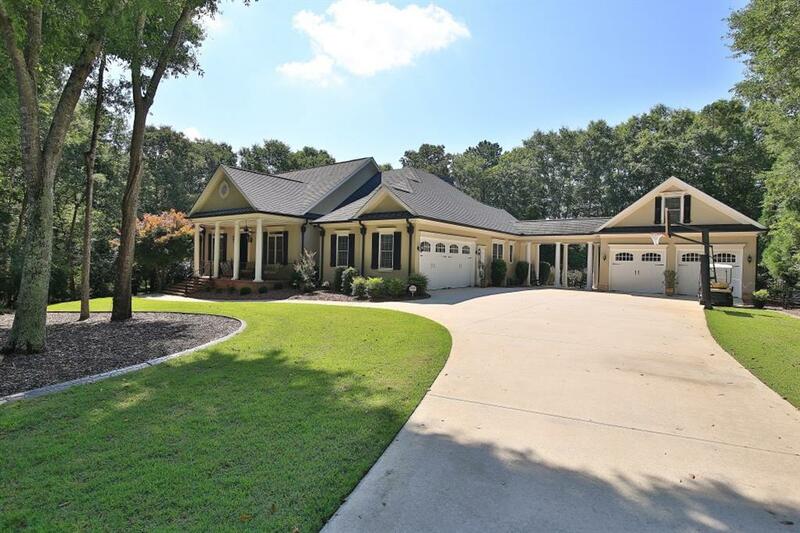 Spacious Elegant Floor plan w/Office, Formal Dining, Living Rm & Sunroom. NEW Kitchen w/Custom Cabinetry, High-end Appliances/Viking. Finished lower level: State of the art audio system, Rec Rm, Serving Bar and more! Detached Carriage House w/ Double Bays & upper Bonus Room! Beyond Perfection!